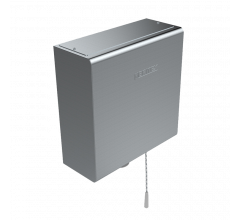 The BRITEX Pneumatic In Wall Cistern is a highly vandal resistant toilet pan flushing option for in-wall, in-duct or in-ceiling installation. 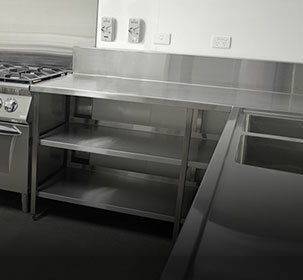 Available in a variety of button, plate and literage options to suit your application. 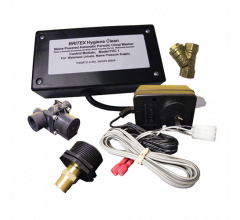 The BRITEX In Wall Cistern is a highly vandal resistant toilet pan flushing option for in-wall, in-duct or in-ceiling installation. With a cistern slim enough to fit between 410mm studs in a true 85mm cavity, these 6/3L or 4.5/3L dual-flush concealed cisterns are both WELS and WaterMark approved and are ideal for pairing with any vandal resistant BRITEX wall-faced toilet pan. 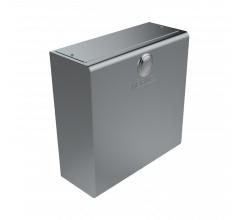 The cistern tank can be mounted in-ceiling or reverse mounted for service through a service duct or a service opening to the rear of the pan. 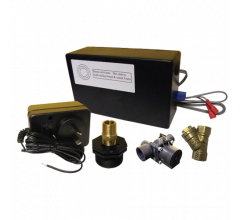 All serviceable parts on the cistern are of the highest quality and are accessible through the service panel on the tank itself. Included is a pre-fitted pneumatic lifter and hose (1.3m) for remote dual-flush, pneumatic actuation via anti-vandal S.S. buttons. For Disabled Access installations an actuator plate with raised buttons can be supplied in accordance with AS1428. 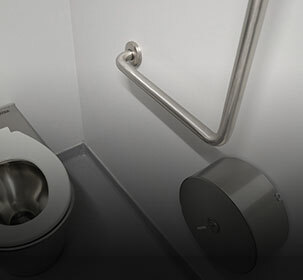 Stainless steel face plates with pneumatic actuators and standard cistern, inclusive of fixings are also available as an option. The one piece moulded cistern tank carries a 15 year warranty and is manufactured of leak proof high density polyethylene for high impact resistance.